Stainless steel (grade of stainless steel is marine) wire rope for railing. This flexible wire making it easy to work with, and has a low co-efficient of stretch. Its ease of use makes it excellent for use with Thimble and Ferrule fittings as well as hydraulically swaged fittings. 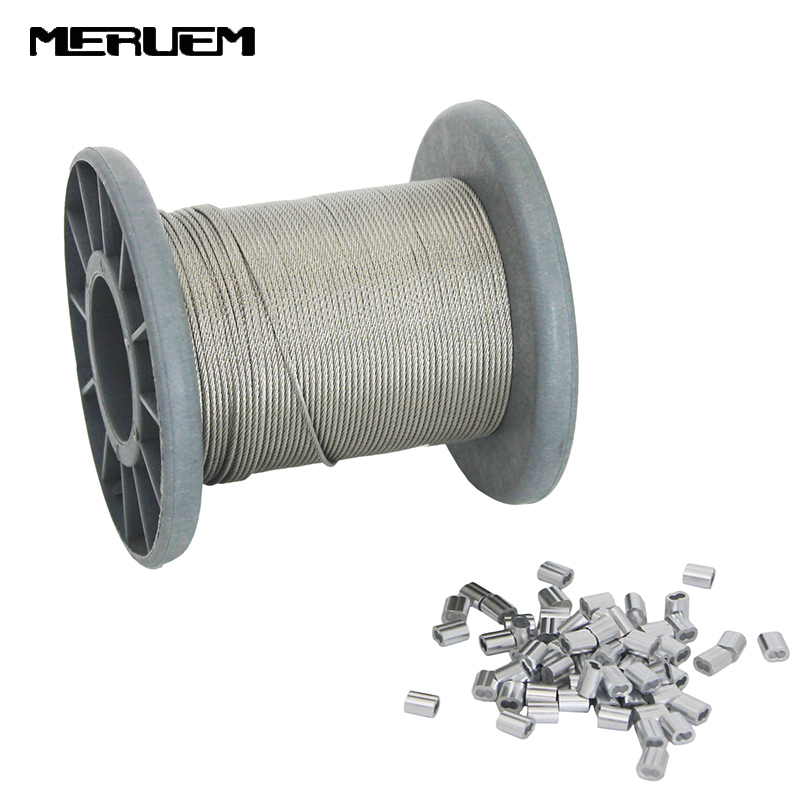 Cable is stainless steel for maximum durability, strength and weather protection. 7x7 construction (7 groups of 7 strands braided together to form the cable), which is flexible. Good type of cable for handling bends and corners on cable railings. This type of wire rope is best used with VistaView wire rope Tec\'s 1/8" hand-crimp cable railing fittings. Require assorted railing Kit which include Jaw Swage Fork, turnbuckle, crimping Loop Sleeve, thimble. -- We ship worldwide at flat rate ! This price is the same to all over the world. We will check each item clearly before we sent it out. ----By Airmail: About 7-16 working days to USA. ----By Airmail: About 7-25 working days to AU, UK, FR, Germany. ----By Airmail: About 7-35 working days to The Other Country. -- If you can\'t get the post after 35 days from the day we sent to you , please contact us directly . We would be with you to resolve the case. Please trust us, we will provide best service with honest attitude. If not satisfied, please let me know and you can return it in original condition via air registered mail within 7 days of your receiving the item for a full refund. If you cannot leave us 5 stars on all four of the DSR\'s please contact us.